You know that friend or family member who just never has anything nice to say? Nothing in her life is ever going right. You love her, but at the end of every chat, you feel completely drained. And then there’s that friend that just seems to have it all together. She always has a kind word to say. She makes you feel great about yourself and even when things aren’t super, she always finds a way to make lemonade out of lemons. Your flight is delayed and you’re stuck in travel misery. You’re exhausted and grumpy and this person tells you to look out the window. She points out that if your flight hadn’t be delayed you would have missed that gorgeous sunset. Those are the people we love to be around. The positive Pattys of the world. You might think those positive Pattys are just wired differently. And for some of them, that’s true. But there’s no reason a Debbie Downer can’t become a Positive Patty. The difference between the two is gratitude. 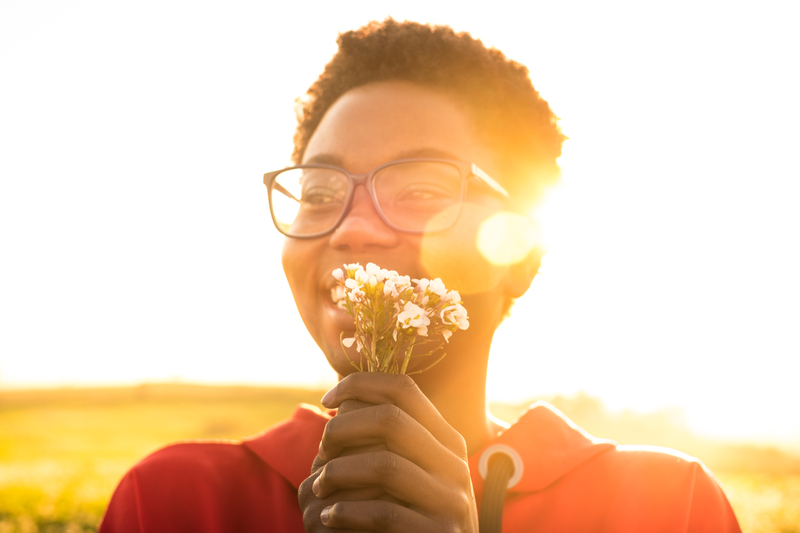 By now you might have been hearing a lot about gratitude and how it’s the secret to happiness. One of Oprah’s favorite things over Christmas was a now sold out Gratitude Jar. It sounds corny, so what’s the big deal? How does gratitude make you happier? It makes you stop and smell the roses. Whether you can rattle off a hundred things you’re grateful for or you need to think for a few minutes before anything comes to mind, you’ll think of something. And that something might seem small or insignificant in the grand scheme of things, but it’s something. And making a point to think about the one or two things that helped you through your day, week, month or year can plant that seed, so next time that thing comes up, you feel a little happier. It helps you cope with things are difficult. We all know, things aren’t always rainbows and butterflies. But when you can see the good in the midst of agony, coping with the bad becomes just a little bit easier. Looking for the good in others helps you look for the good in yourself. And while this exercise in gratitude has you looking for positivity all around you, you’ll also find positivity within you. When you think about what makes you grateful, there’s almost always a someone in there. A coworker, a friend, a significant other, the barista at the Starbucks who complimented your sweater. And when you start to think of the people around you in a more positive way, your relationships with them reflect that. I’ll talk more about this in a future blog post, but I really believe this is one of the strongest benefits of practicing gratitude. Think about the last time something really great happened to you. I mean really good. So good you wanted to shout from the rooftops. Do you have it in mind? Now, think about how long that feeling lasted? A week? A day? An hour? 15 minutes? It probably wasn’t very long. There’s a biological reason for that. But practicing gratitude can help that feeling stick around longer. So are you on board yet? It’s ok if it feels silly at first. 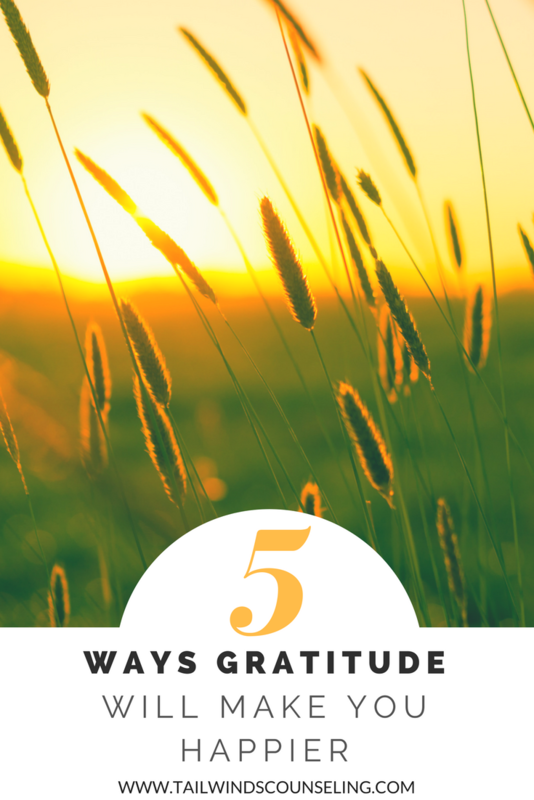 Now that we’ve talked about why gratitude is good for you, next time we’ll talk about how. If you’d like note in your inbox when the next post is up, subscribe below.